Add it to your list. Louis Theroux is returning to our TV screens with a new series of documentaries and in his first feature, the gifted broadcaster is examining the issue of drug addiction in Huntington, West Virginia. If you're looking for another documentary that's of a very similar nature, Elaine McMillion Sheldon's superb Heroin(e) is now available to watch on Netflix and it has been earning some very impressive reviews. Once a bustling industrial town, Huntington, West Virginia has become the epicenter of America's modern opioid epidemic, with an overdose rate 10 times the national average. This flood of heroin now threatens this Appalachian city with a cycle of generational addiction, lawlessness, and poverty. But within this distressed landscape, McMillion Sheldon shows a different side of the fight against drugs; one of hope. In Heroin(e) we get a glimpse into the lives of three remarkable women as they do their very best to fight and break the cycle of addiction. Since debuting on Netflix, the short documentary has really moved anyone that has seen it. Highly recommend Heroin(e) documentary on Netflix. 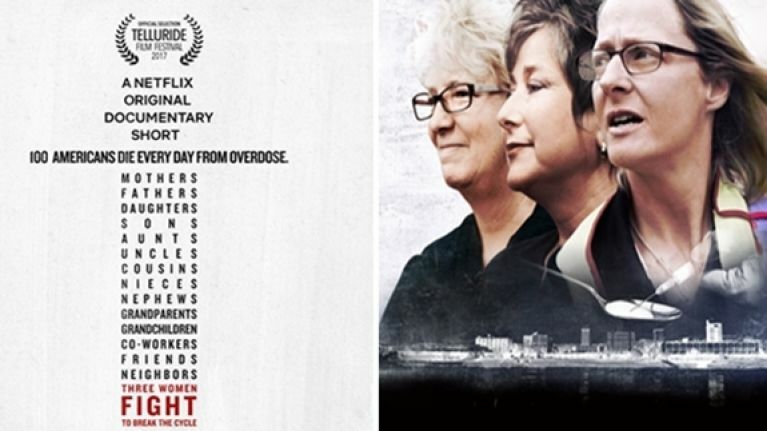 Painful, unfiltered look at three badass women in a daily fight vs an epidemic. Heroin(e) on @netflix is powerful, heartbreaking, and life-affirming. You should take 40 minutes to have your heart and mind challenged. Watching "heroin(e)" on Netflix and just a few minutes in &I don't know how many emotions I've already gone through. Watch this documentery.